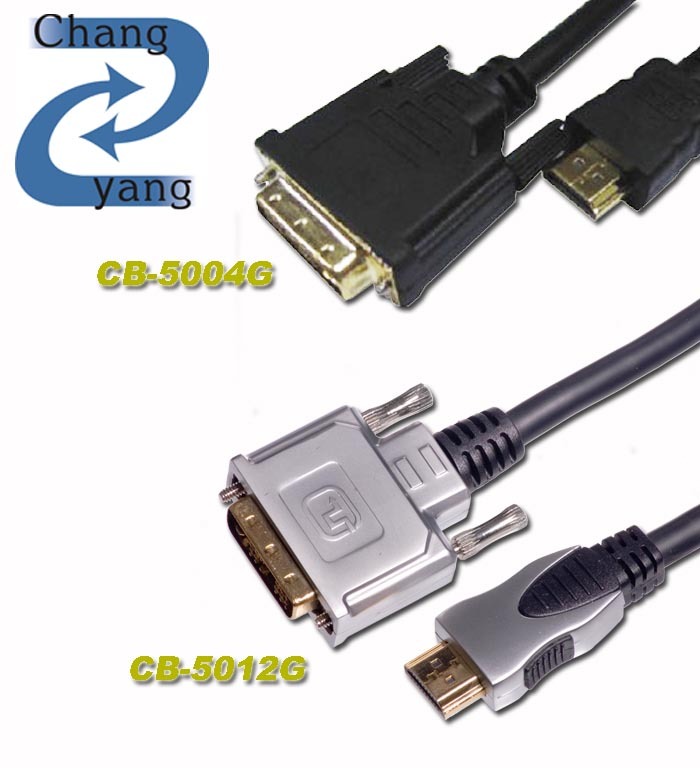 HDMI 1.4 to DVI Cable (CB-5004G/CB-50012G) - Chang Yang Electronics Company Ltd.
Our HDMI to DVI cables Connects any cable box, satellite box, DVD player, or other device that has an HDMI female port to DVI-D (Digital) device (such as HD-TV's, some satellite and cable boxes, or projectors) and flawlessly provide the best digital audio and video with maximum quality and reliability. HDMI / DVI cables accommodate up to 1080p high-definition formats, ensuring impeccable horizontal and vertical resolution. Chang yang offers HDMI / DVI cables with good quality to global customers. Durability, innovation, technical excellence and impeccable performance are the major features of our HDMI / DVI cables and also form a part of our company.